Currently the provost at the University of Wisconsin­–Madison, she is also a professor of psychology who is internationally known for her research on the social and emotional development of infants and young children. Mangelsdorf will be the first woman to lead the University when she formally takes office in the summer of 2019. She will succeed Richard Feldman as the University’s chief executive. University of Rochester Board Chair Richard Handler ’83 praised Mangelsdorf as a leader. 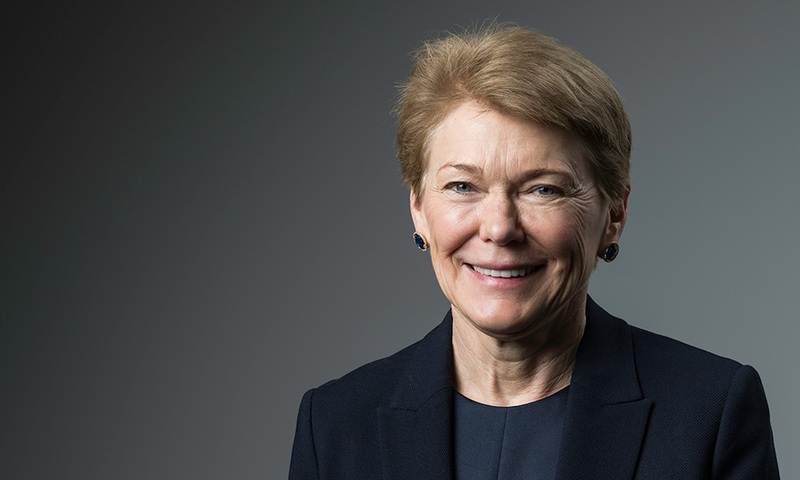 University Trustee Cathy Minehan ’68, who with Trustee Danny Wegman co-chaired the Trustees’ Presidential Search Committee (TPSC) that oversaw the process for identifying a new president, said Mangelsdorf clearly stood out from a large and diverse pool of impressive candidates. She served as dean of the Weinberg College of Arts and Sciences at Northwestern University before becoming provost at Wisconsin in 2014. She began her academic career at the University of Michigan and in 1991 moved to the University of Illinois at Urbana-Champaign, where she later was dean of the College of Liberal Arts and Sciences. Colleagues throughout her career have recognized her as a leader who creates a collegial climate and who is admired and respected for her integrity and her ability to make hard decisions in a fair and transparent way. She has earned wide recognition for developing important strategic initiatives tailored to the goals of each institution and for taking a leading role in building both financial and institutional support for those goals. At Northwestern, Mangelsdorf oversaw the largest and most comprehensive academic unit of the private, selective university’s 12 colleges. She began her tenure at the start of 2008’s Great Recession and is credited with leading a strategy that increased the number of endowed chairs and professorships, remodeled core facilities, and bolstered student financial aid at a time when other universities were experiencing cutbacks. At Illinois, where she was the first woman to serve as the Harry E. Preble Dean of the College of Liberal Arts and Sciences, Mangelsdorf also was the first woman to head the Department of Psychology, one of the largest undergraduate and graduate programs at Illinois. Prior to that, she served as associate provost. She was recognized several times for her teaching at Illinois, including receiving the highest award for teaching in the College of Liberal Arts and Sciences. The appointment of Mangelsdorf is the culmination of a months-long and inclusive search process. The University retained the respected higher education search firm Spencer Stuart to conduct the search on behalf of the Board of Trustees and the trustees’ search committee. Three campus advisory committees supported the board in the search. The University Advisory Committee (UAC), co-chaired by Anne Nofziger, associate professor of family medicine and director of the primary care clerkship program, and Michael Scott, Arthur Gould Yates Professor of Engineering, included faculty as well as the co-chairs of the Staff Advisory Committee and of the Student Advisory Committee. The full University Advisory Committee participated with the trustees’ search committee in initial evaluations of the prospect pool, and seven of its members, including a staff and student representative, participated in candidate interviews. 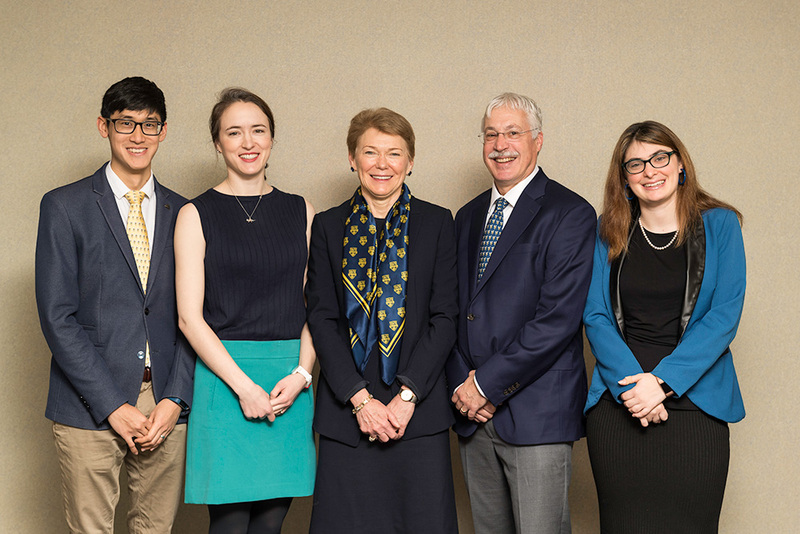 The trustees’ search committee and the seven UAC participants unanimously supported Mangelsdorf and recommended her to the Board of Trustees as the University’s next president. Jamal Rossi, the Joan and Martin Messinger Dean of the Eastman School of Music and a member of the UAC, said the search process was organized to involve the perspectives of as many members of the University community as possible. For a full list of the Trustees’ Search Committee (TPSC), and the UAC, Staff, and Student Advisory Committee members, please see the Rochester Presidential Search website. The three advisory committees of faculty, students, and staff provided additional input into the process, holding more than three dozen campus meetings and forums in the summer and fall to gather input on the presidency. In addition, a University-wide survey seeking feedback on preferred qualities and priorities for a new president received about 5,000 responses. Input from the forums and from the survey helped to develop the position description and to identify preferred attributes for final candidates. Professor Michael Scott, the University Advisory Committee co-chair, said search committee members were impressed by Mangelsdorf. University Trustee and search committee member Tom Richards, who also chairs the board of the University of Rochester Medical Center (URMC), said that Mangelsdorf is well positioned to lead a complex institution like Rochester. A Pennsylvania native, Sarah Mangelsdorf graduated from Oberlin College in 1980 and earned her doctorate in child psychology from the University of Minnesota in 1988. She is a third-generation academic: her father, Paul C. Mangelsdorf Jr., was a professor of physics at Swarthmore College and her grandfather, Paul C. Mangelsdorf, was a professor of botany at Harvard University. She and her husband, Karl Rosengren, a developmental psychologist who is also a professor of psychology at Wisconsin, have two children, Julia Rosengren and Emily Rosengren, and a son-in-law, Richard Lee. The family also includes a cat, named Gezellig (from a Dutch word meaning “cozy”) by Julia and Emily after the family returned to the United States from a year-long sabbatical in the Netherlands.